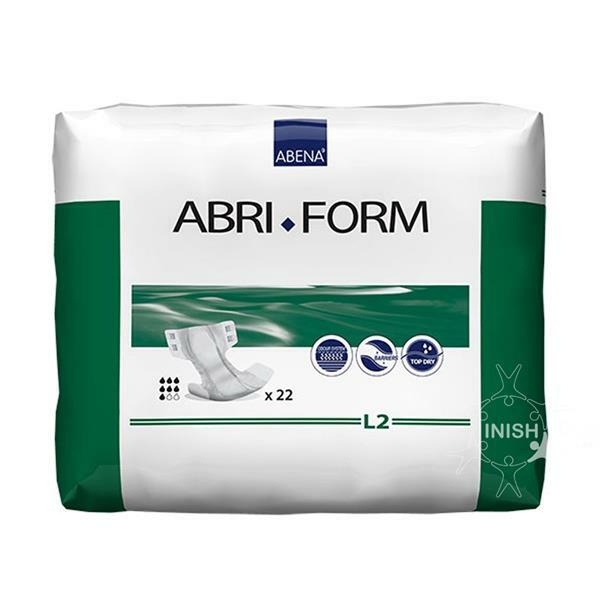 Abena Abri-Form Comfort L2 unisex all-in-one pads 22 pack Code 4165. Abri-Form Comfort - L2 unisex all-in-one pads offer a textile feel backsheet with breathable side panels. The advanced double 3 layer absorbent core ensures that the skin is kept dry while leakage barriers ensure maximum protection and lock any fluid inside the pad. Wetness indicators are featured on these products which can help you to identify when the product needs changing when dealing with urinary incontinence. The smooth back panel is designed to protect skin integrity by minimising any risk of pressure marks.